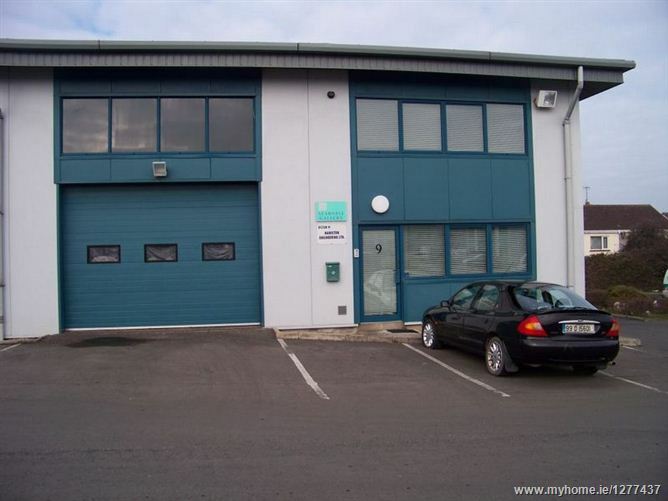 Exceptional newly built industrial/warehouse facility extending to approx 432 sqm. Own door access on ground floor and first floor , each floor has its own toilets and emergency escape. Fully fitted with mezannie floor to include art gallery and offices overhead. The ground floor comprises the following entrance hall 2 x offices , male & female toilet area. Canteen and a workshop/Warehouse area. The offices are heated by a natural gas fired boiler and radiators. Hot water is provided by electric water heater . The workshop/Warehouse area has both single and three phase facilities. The offices are wired for power & data. The first floor comprises the following , front office , large open plan space , male /female toilets , front office wired for power & data and is heated by radiaator from gas fired boiler. The large open plan area is fully wired for power & data via skirting trunking & concealed floor outlets to power & patch panels.The open plan area and toilets are heated by means of under floor heating from a gas fired boiler which is separate from the boiler heating other areas.